All cars on Car Next Door are covered by our comprehensive insurance policy whenever they’re with a Borrower. If you car is damaged or lost during a Borrower’s booking, they will be responsible for the cost of repairs. Borrowers are required to take photos at the start and end of each trip to prove that no damage occurred while they had your car. These photos help us determine when damage happened and who is responsible. If you notice new damage that you think happened while a Borrower had your car, report it to us as soon as possible. If you have a preferred repairer we can use them, provided they can give a reasonable quote. Otherwise we have our own specialist repairers. Make sure you’re checking your car regularly and reporting any new damage as soon as possible. Looking at the data, only 1 in every 1,400 trips results in any significant damage (where repairs cost over $3,000). This includes incidents where a third party was at fault. 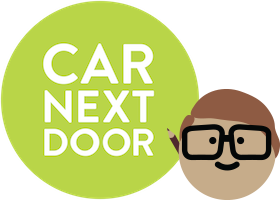 On average, you would need to have a car on Car Next Door for close to 20 years for it to experience a major accident. As for the smaller stuff like scrapes and scratches, this happens around once every 120 trips, so the average owner would experience one minor damage incident in two years.